For this setup, I got a service account created that would be used for the installation of VUM and the UMDS. For my setup I setup VUM and UMDs on their own dedicated servers as you obviously have to do as the UMDS has to be in the DMZ. For the installation of UMDS I followed the following steps from the vSphere 5 Documentation Center. Next I installed VUM following the steps detailed from this vSphere 5 Documentation Center article. Note: The first hurdle I hit in this installation was that the SQL Client for SQL 2012 doesn’t work for the ODBC connections so I had to install the SQL 2008 Client from here for it to show the ODBC configuration when I went through each of the installations. Next was the configuration of UMDS and I followed this vSphere 5 Documentation Center article. Next was the creation of the IIS server for the UMDS so that VUM can contact and download the patches. 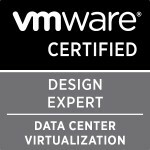 I followed this vSphere 5 Documentation Center article. Note: For the exporting, I kept getting an error as detailed in this VMware Communities discussion I created. As detailed in the discussion the problem was I had to set the folder location as my default export store by running vmware-umds -S –default-export-store <your path to the UMDS folder>. Then you can export the patches to the folder location by running: vmware-umds –E <your path to the UMDS folder>. Note: For the downloading of the patches I kept getting a failure where the downloading patches task would get stuck at 50% for a few minutes and then fail stating “Cannot download patch definitions” as shown below. Categories: Virtualisation | Tags: air gap, default export store, downloading patches fails at 50%, exporting, isolated, ODBC DSN on a 64 bit OS, SQL 2012 Client, SQLCli, UMDS, Update Manager Download Service, Virtualisation, virtualization, VMware, VMware Update Manager, vmware-umds -E, vSphere 5, VUM | Permalink.